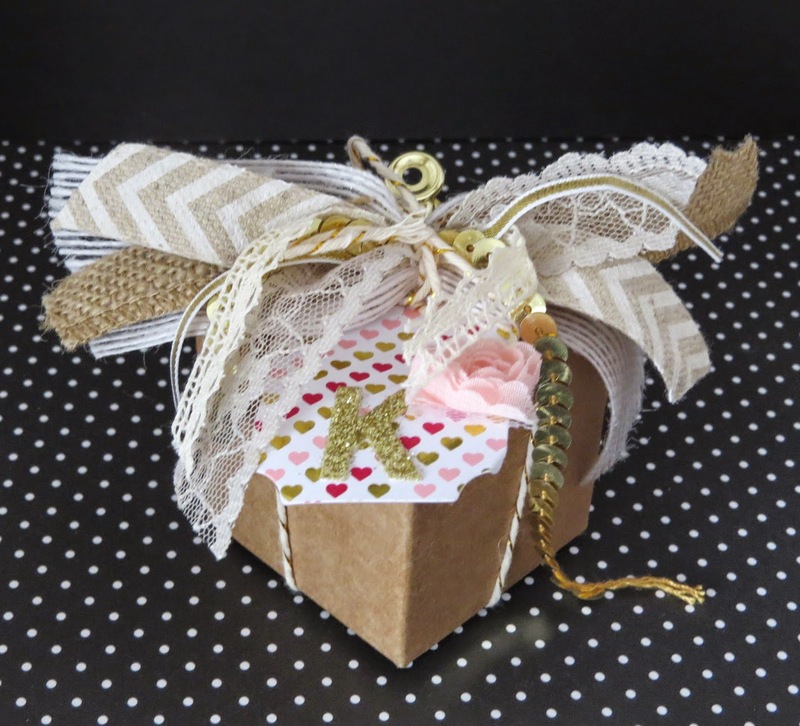 Karina's Kreations: Paper Pumpkin Tiny Treat Box! Paper Pumpkin Tiny Treat Box! I have to share this super cute Tiny Treat box I got from Donna Wizniuk. Isn't it gorgeous? Donna used the February Pumpkin kit to decorate this box along with White Jute Ribbon,1-1/4" Burlap Ribbon,Natural 5/8" Chevron Ribbon, Sahara Sand 7/8" Lace Trim Ribbon, Venetian Crochet Trim, Gold 1/8" Ribbon, Gold Sequins, Gold Baker's Twine and a flower from the Artisan Embellishment kit. The tag is from the February Paper Pumpkin Kit. Paper Pumpkin is on special right now. Buy a three month Subscription for only $68.85 and get a Free Sale-a-bration item. I had a sneak peak of the next two months and you're going to love it!!! Make sure you sign up by the 10th to get the next kit. Click here to order your paper pumpkin subscription!